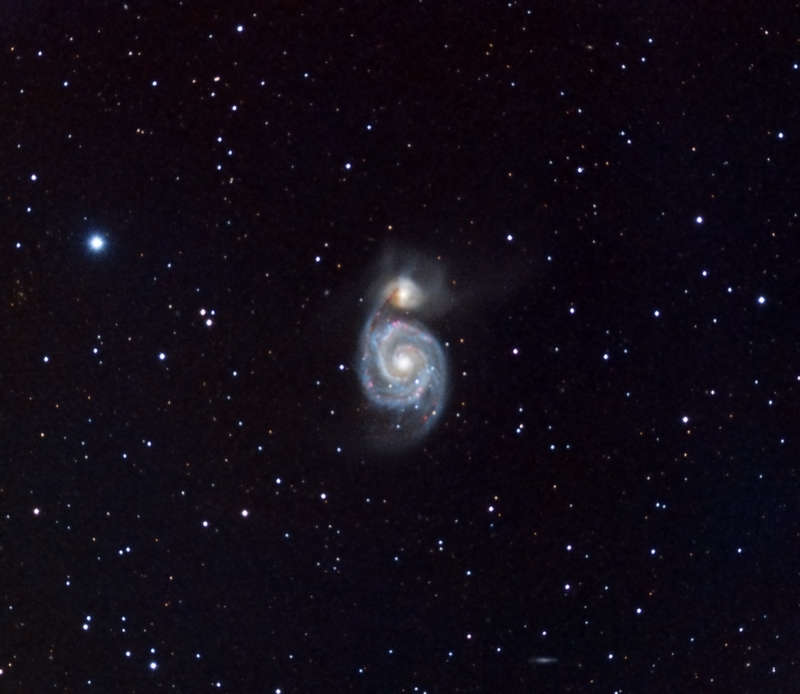 Messier Object 51, known as the Whirlpool Galaxy, is a spiral galaxy in the constellation Cannes Venatici. The galaxy is located approximately 23 million light years from Earth. The galaxy is interacting with NGC5195 (top of image, see annotated image below). 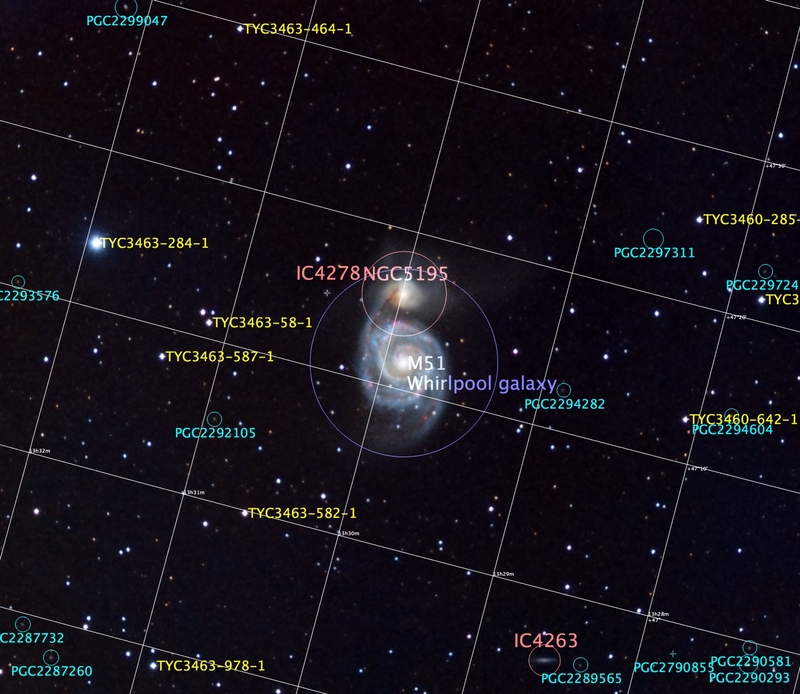 This is a favorite target of Claustonberry Observatory, as well as many other amateur and professional astronomers. In this image, we have combined RGB color information with Ha (Hydrogen Alpha) and Luminance channels to provide additional detail in the structure of the galaxy.